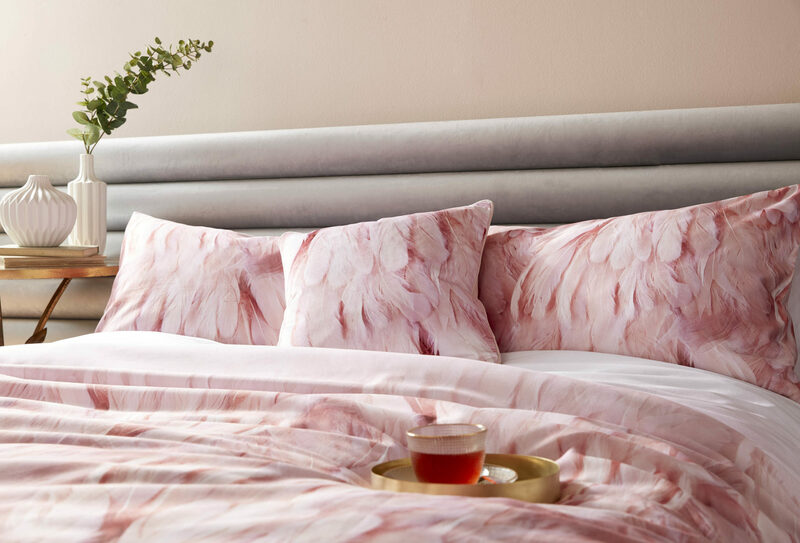 Ted’s in fine feather on the glamorous Angel Falls bedlinen. 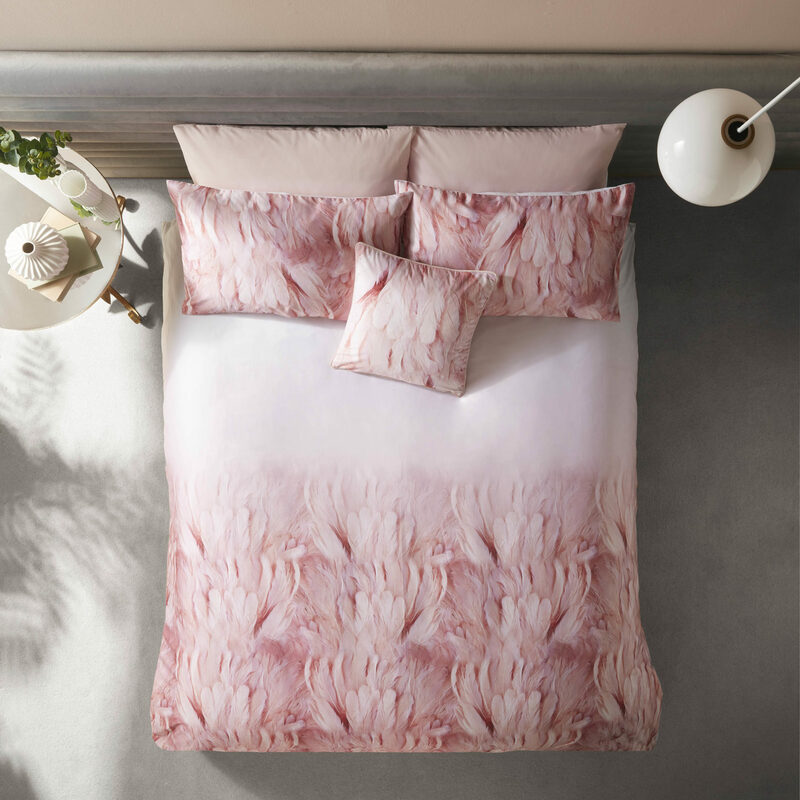 Plush feathers in luxurious tones of pink fade softly to the base of this divine print. 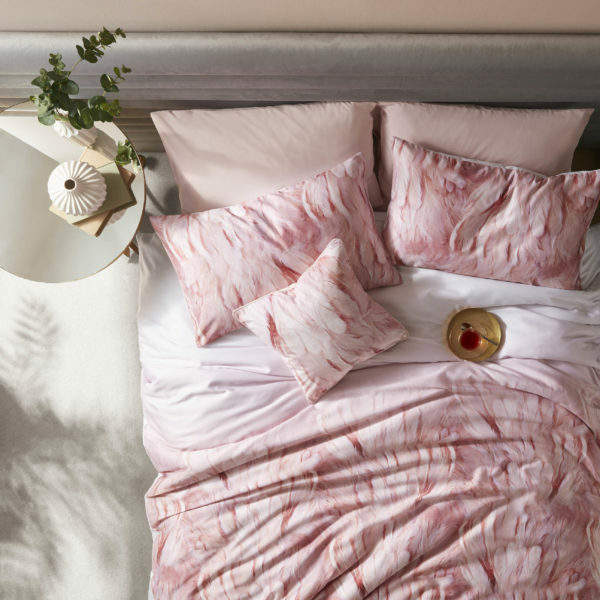 Be carried off to cloud nine on Ted’s heavenly bedlinen.